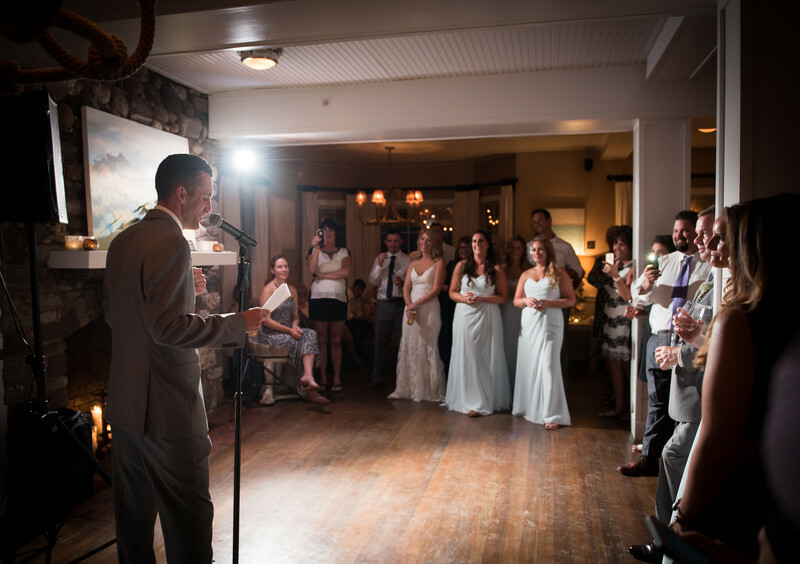 As a Maine wedding photographer I love wedding speeches. They are a perfect opportunity to capture some real raw emotions and an important part of telling the story of the day. This image was one of my favorites from Jenna and Mike's wedding at the Tides Beach Club in Kennebunkport, Maine. The room was dark and moody and I wanted to preserve the natural ambiance and mood that was present. I placed a light at the far corner of the room and skimmed his face with the light creating a lovely highlight and deep shadow etching out the profile of his face as he delivered his speech. The expressions from everyone in the room are clear and the moment and feeling of the room is captured.